Look in your area to find the closest marriage licenses office. Here’s a link for Florida residents to all Clerk’s by County to obtain your marriage license –http://www.stateofflorida.com/clerks-of-court.aspx. Call and ask when you should apply as there may be a waiting period. Here are all the office in Florida –http://www.stateofflorida.com/clerks-of-court.aspx. Both bride and groom must be present for the application. 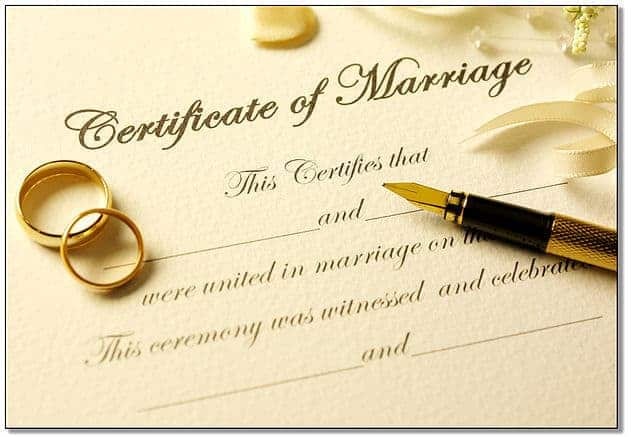 Don’t forget, bring official birth certificates with seal, proof of citizenship and/or residence, photo identification, if underage parental consent, death certificate if widowed, and divorce decree if divorced. This process can be completed within 4 – 5 weeks. What takes the longest is getting everything notarized. 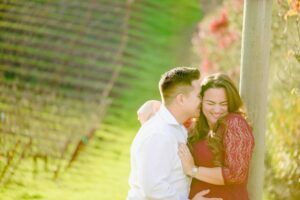 Marriage license is valid for 60 days after issuance. You must perform the ceremony of marriage before this 60 days has expired. Reminder: Whoever officiates your wedding is responsible for sending your signed license to the marriage license bureau, and then you should receive a certified copy within a few weeks or months. Until the marriage licenses are signed by bride, groom and official you are not married. ID Requirement: You will need a picture ID such as a driver’s license AND social security card and/or a valid passport number or I-94 card. Waiting Period: Good news! No waiting for Florida residents IF both bride and groom have COMPLETED, within the last 12 months, a state sanctioned marriage preparation course. However, there is a 3 day waiting period for the Florida residents that did not complete this course. Residency Requirement: You don’t have to be a Florida resident and the waiting period does not apply to non-Florida residents. Application Requirement: BOTH the bride and groom must appear in person at the time of applying. If Remarrying: If previously married, you will need the date of the divorce or date of the spouse’s passing. If the divorce or spouse’s passing occurred within the past 30 days, a certified copy of the divorce decree or death certificate is required. Fee: $93.50 -CASH only. Couples who have completed a state-sanctioned marriage preparation course within the past 12 months are entitled to a discount of $32.50. The provider of the class must be listed with the Clerk’s office. Hot Tip: Also for a faster process you can fill out an online pre-application (https://www2.miami-dadeclerk.com/mlsweb/PreApp.aspx ) print it and bring it with you to one of the offices listed for the application process to be completed.